I really have been slacking. I spent most of last weekend checking out the eye candy from the Bead Soup Blog Party and then on Wednesday which is when I normally disappear into my studio, I made up a necklace for a hop at the end of the month. So I didn't really make any designs that I could show off. I did however make some earrings last week for the Ears To You project. I have been working slowly towards my goal of having thirty pairs to send their direction by the end of the year. So while they aren't on theme for the Year of Jewelry Project, they are some jewelry that I am able to share with you all. 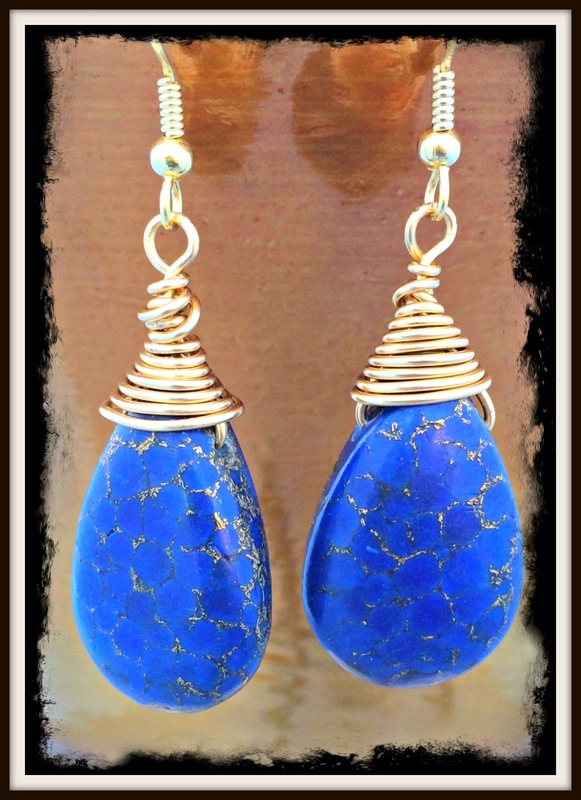 This pair was made with some stone that resemble lapis. Heck for all I know, they might be lapis. They were my first attempt to try to wire wrap up a briolette in this fashion so I am rather proud of them. 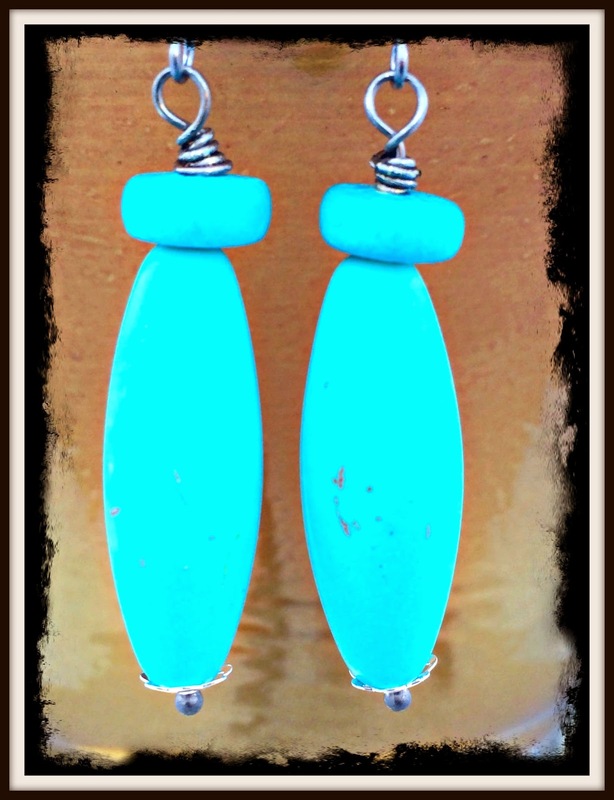 This pair was made with a turquoise colored stone and wooden discs. They would be fun to wear with a pair of jeans and a t-shirt. In this pair, I went a bit more flashing using crystal from ZNet Shows and some pave beads that I picked up somewhere along the line. 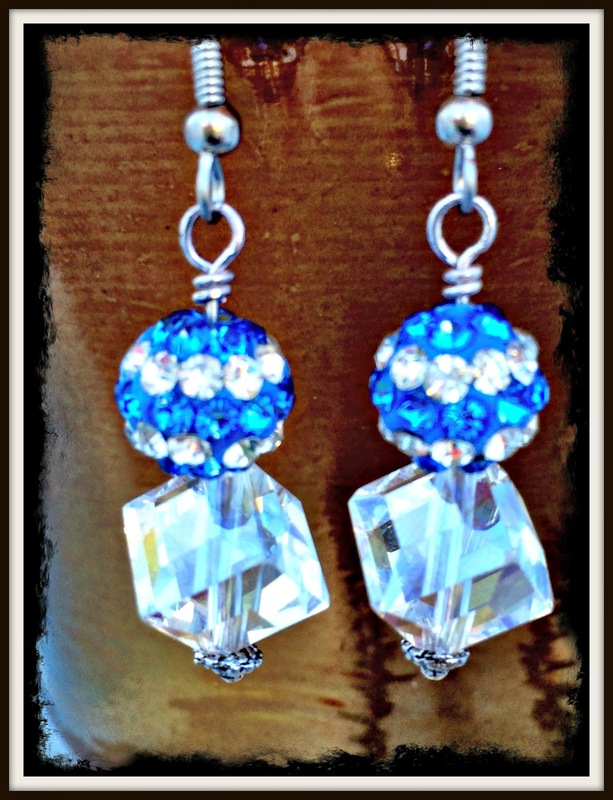 great earrings but that first pair is fantastic! they have a good vibe about them. Love all three :) I know what the first gems are --I have the exact same kind of gemstone in big briolettes & little briolettes & ovals & rounds... :) It is a high end mosaic jasper with real bronze. I love it! And you rocked the briolette wrap! Sweet.